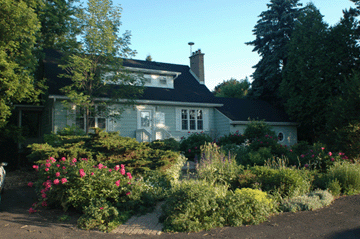 The Aurora Professional Counselling Centre provides a comfortable, private setting for therapy and counselling services. Our professionals come from a variety of backgrounds to offer a range of therapy and counselling services to meet the highly individual needs of our clients. Please discuss insurance coverage with the individual therapists. 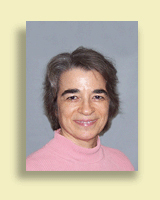 Dr. Joyce Weinberg, PhD, C. Psych. Joyce Weinberg is a psychologist, registered by the College of Psychologists of Ontario for practice in clinical and counselling psychology. Her PhD is from York University. She is a member of the Ontario Psychological Association, the OACCPP, and the Canadian Society of Clinical Hypnosis (Ontario). 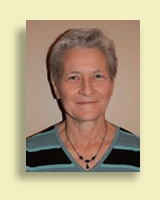 She has over 30 years of clinical experience providing therapy and counselling for individuals and couples. Dr. Weinberg is now in full-time private practice. From 1971 to 2005, she was a psychotherapist at York-Finch General Hospital, which became Humber River Regional Hospital in 1997. At York-Finch, she set up, ran, and practiced for 25 years in the hospital’s program for adult survivors of childhood sexual abuse and other severe trauma, including adult trauma. Her wide hospital experience, including her work with survivors of trauma and post-traumatic stress, have prepared her to help with a wide range of problems in everyday living, such as depression and anxiety, relationship issues, couples and family conflicts, stress (including workplace stress), and chronic pain. Dr. Weinberg also provides assessment and treatment for psychological problems related to automobile accidents, workplace injuries, or inability to work. Weekday and evening appointments are available. Most of Dr. Weinberg’s services are covered by extended health care or other insurance. 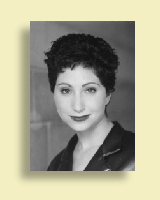 Tania is a Registered Psychotherapist, with the College of Registered Psychotherapists of Ontario (CRPO). She is also a Registered Professional Counsellor with the Canadian Professional Counsellors Association (CPCA – Full Member) and a Certified Yoga Teacher (500 hrs.). 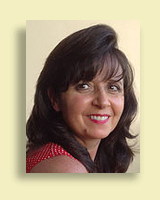 Tania has been providing psychotherapy, addiction counselling and yoga therapy for more than a decade. She holds Diplomas in Psychotherapy and in Addictions Counselling. Tania has studied Psychology at York University where she is currently participating in ongoing training in Emotional-Focused Therapy. Tania’s mission is to provide adults with a place to be truly heard, supported and understood. She believes everyone deserves to be validated and seen. Her role is to support you to face your problems. Her goal is to create a client-centered and collaborative approach that meets your needs and goals. Tania is deeply interested and curious about human interactions in all areas of work, life and business. Her background in corporate operations management combine with her ability to naturally connect with people to help her create an environment for clients to discover their strengths, uncover forgotten or hidden knowledge, tap into their own wisdom, and find individual and unique answers to their questions. Tania looks forward to the opportunity of getting to know you and doing some great work together. Kathryn A. Mather, M.A., R.P. My name is Kathy and I am a Registered Psychotherapist with over 15 years of experience, providing individual counselling and therapy to adults and elder adults. The counselling services I provide address a range of issues including grief and loss (death and non-death losses), anxiety, stress, anger, self-esteem, communication and relationship issues, life transitions, and work/life balance. You may initially feel unsettled about seeking counselling and sharing your thoughts and feelings. I will explain the process and guide you at a pace that works best. The counselling is tailored to your individual needs. Engaging in the therapeutic process promotes self-empowerment. I offer short-term and longer-term counselling and have both day and evening appointments available. Please feel free to call with preliminary questions or concerns. You can reach me at 416-540-6078 (for both my Aurora and Etobicoke locations) and private messages can be left at that number. Shasha Oosthuizen has a Master’s Degree in Counselling and Clinical Psychology from the University of Toronto. She is currently completing her Doctorate Degree in Counselling and Clinical Psychology. She is a member of the Ontario Psychological Association. Shasha offers individual therapy to a diverse adult population with concerns including anxiety, depression, obsessive-compulsive disorder, relationship difficulties, self-criticism, stress in relation to immigration and family of origin, and body image dissatisfaction. Her clinical experience includes private practice, hospital, and university settings. Shasha provides an empathetic, respectful, and nonjudgmental space. In a collaborative relationship, she draws especially on Cognitive-Behaviour Therapy (CBT), an evidence-based treatment approach. Shasha works with clients to tailor each treatment plan to the client’s unique needs. 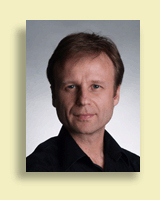 Laurentiu is a registered member of the Ontario College of Social Workers and Social Service Workers (OCSWSSW) and Ontario Association of Social Workers (OASW). Laurentiu holds a Master of Social Work from University of Toronto and is certified in Cognitive Behavioural Therapy (CBT), which has been empirically proven to be effective in addressing issues related to stress, anxiety, depression and trauma. Laurentiu is also certified in EMDR, Brief Solution Focused Therapy, Transactional Analysis and Narrative Therapy and he is a Registered Life Coach with the Certified Coaches Federation. Laurentiu also practices counselling and psychotherapy under the supervision of a Registered Psychologist or Registered Psychological Associate who are members of the College of Psychologists of Ontario. Laurentiu has an extensive clinical experience in working with adolescents and adult populations of diverse backgrounds. He is committed to integrating evidence-based and effective therapeutic approaches to support his clients in overcoming their difficulties of life and achieving their goals. Together with Laurentiu you will examine behaviours and self-defeating thinking patterns that have prevented you from achieving your goals or from living the life you’ve always wanted. You can also discover new ways to relax, regain balance and recharge your energy resources. Laurentiu’s therapeutic approach will help you feel more in tune with yourself and will motivate you to integrate in real life the diverse skills and strategies learned during the counselling sessions. Laurentiu has offices in Aurora and Vaughan. Jessica Schwey is a Founding Member of the Centre for Health which specializes in General Counselling for Couples, Individuals, and Families as well as Anger Management Programs. 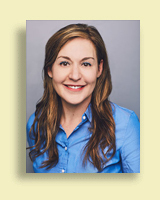 She is a member of the Ontario Association of Consultants, Counsellors, Psychometrists and Psychotherapists and has completed her Masters degree in Counselling Psychology at the Adler School of Professional Psychology.Jessica enjoys working with couples, families and individuals of all ages. She has helped clients deal with trauma, depression, marital conflicts, family conflicts, anxiety, pain management and stress. Jessica also has extensive experience in conducting assessments of anger and providing individual anger management. In addition, she has also worked in the rehabilitation field – conducting motor vehicle accident assessments, writing reports, creating treatment plans and treating clients. Jessica also has experience in Expressive Arts Therapy and is able to integrate the arts into the therapeutic experience if requested.